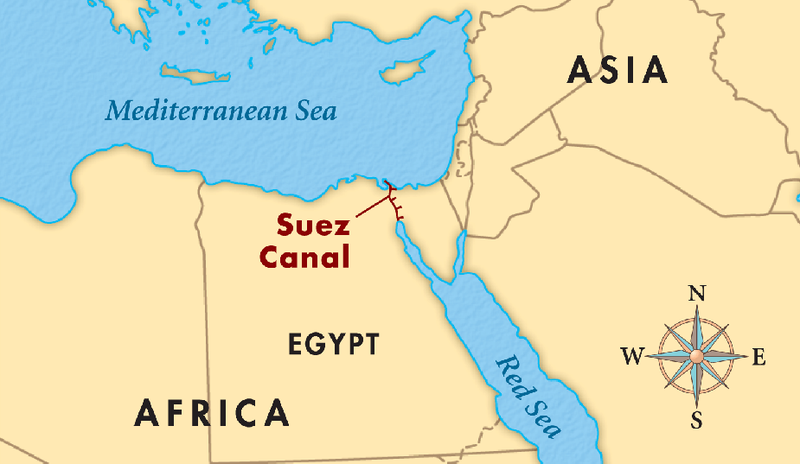 The Suez Canal is a man-made waterway in Egypt, connecting the Mediterranean Sea and the Red Sea. It was opened in November 17, 1869 after 10 years of construction. 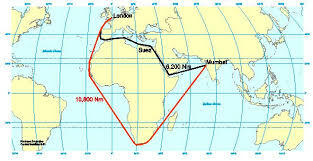 It reduces the sea voyage distance between Europe and India by about 7,000 kilometres. Where is the island of Man located? The Isle of Man, also known as Mann, is a self governing British Crown Dependency, located in the Irish sea between the islands of Great Britain and Ireland within the British Isle. The closest land is southern Scotland. It is 52 Km long and at its widest point 22 Km wide. The United Kingdom is responsible for island’s defence and ultimately for good governance and for representing the island in international forum, while the island’s own parliament and government have competence over all domestic matters. The Suez Canal is an artificial sea-level waterway in Egypt, connecting the Mediterranean Sea to the Red Sea through the Isthmus of Suez. It separates the African continent from Asia. After 10 years of construction, it was officially opened on 10th November 1869. The canal allows ships to travel between Europe and South Asia without navigating around Africa, thereby reducing the sea voyage distance by about 7,000 kilometres (4,300 mi). It extends from the northern terminus of Port Said to the southern terminus of Port Tewfik at the city of Suez. Its length is 193.30 km (120.11 mi), including its northern and southern access channels. In 2012, 17,225 vessels traversed the canal (47 per day). Where is Lake Superior, the largest fresh water lake in the world located? Lake Superior is the largest of the Great Lakes of North America. The lake is shared by the province of Ontario to the north in Canada, the states of Minnesota to the west, Wisconsin and Michigan to the south in the United States. It is generally considered the largest freshwater lake in the world by surface area. It is the world's third-largest freshwater lake by volume and the largest by volume in North America. The largest island in the world is Greenland with 2,131,000 square kilometer. Greenland is an autonomous country within the Kingdom of Denmark, located between the Arctic and Atlantic Oceans, east of the Canadian Arctic Archipelago. 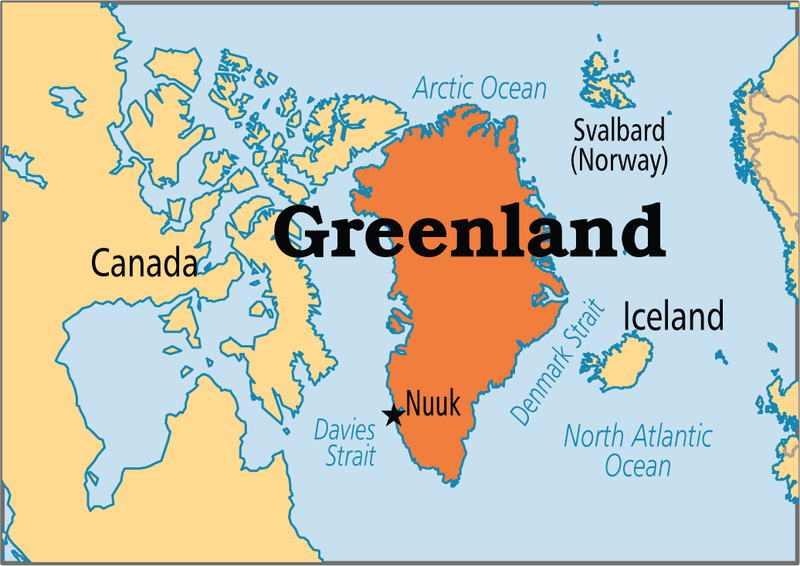 Though physiographically it is a part of the continent of North America, Greenland has been politically and culturally associated with Europe (specifically Norway and later Denmark) for more than a millennium. Australia is considered a continent because it has unique plant and animal life. Antarctica also is a continent – larger than Europe and Australia. Greenland, although quite big, shares the habitat features of Northern America. The smallest island in the word – according to the Guinness Book of Records – is Bishop Rock. It lies at the most south-westerly part of the United Kingdom.